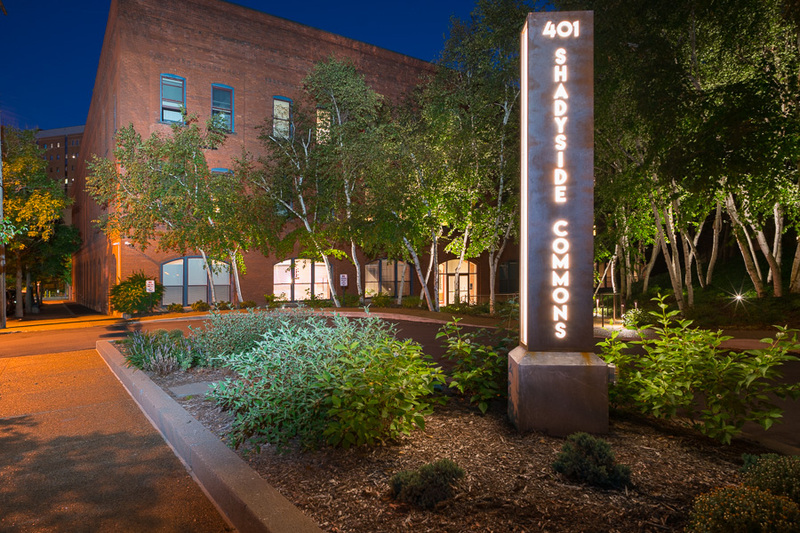 A former family hardware business, Shadyside Commons was built in 1903 in a sleek industrial style. Our Shadyside apartments for rent feature exposed brick elements, impressive arches, and detailed cornices, and have been repurposed into unique 1- and 2-bedroom apartments. Our Shadyside apartments for rent are outfitted with contemporary amenities. Gourmet kitchens, 18-foot cedar plank ceilings and spacious floor plans in each apartment home are complemented by the landscaped courtyard and striking lobby the building maintains. With proximity to downtown Pittsburgh and a tranquil neighborhood surrounded by green space, our luxury apartments in the Shadyside neighborhood of Pittsburgh near Pitt and Carnegie Mellon offer an exceptional residential experience in an urban environment with a perfect commute.